Most of you are probably unaware of the fact that oregano oil is the most powerful natural antibiotic known to science. This oil is derived from the leaves and shoots of the oregano plant, botanically known as Origanum vulgare. This flowering plant comes from the same family as mint, and is often used as food flavoring. It is native to Europe, but is grown all over the world. It has been valued and used since ancient Greece and Rome, and its name comes from the Greek words “oros,” meaning mountain, and “ganos,” meaning joy or delight. 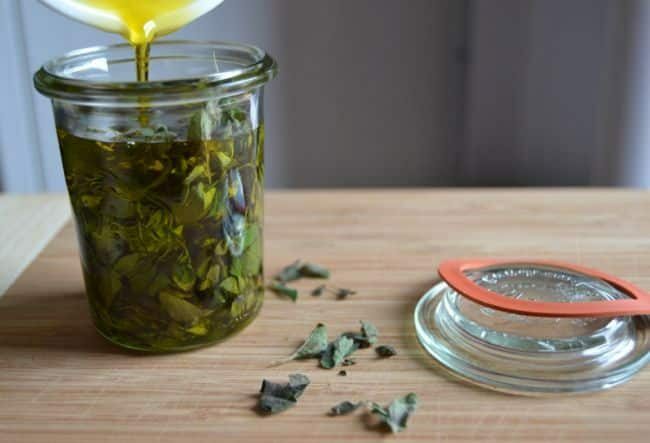 Oregano oil is extracted by the air-dried leaves and shoots of the plant, and is concentrated by steam distillation. It has extremely potent healing properties and contains three times more antioxidants than blueberries, which protect against free radical damage. It is abundant in carvacrol, which is a powerful antibacterial against many strains of bacteria. It destroys their cell membranes and inhibits their replication. Moreover, this oil destroys the dangerous bacteria only and does not affect the beneficial probiotic bacteria. Oregano essential oil is full of minerals and vitamins, including manganese, potassium, magnesium, zinc, calcium, iron, vitamins C, A (beta-carotene), Niacin, copper, and boron. It contains four groups of chemical, which are active healing agents, and act as antioxidants and antiseptics, and have powerful anesthetic, antiviral, and anti-inflammatory properties. Some of them are Linalool and borneol, and linalyl acetate and geranyl acetate. When choosing your oregano essential oil, make sure it has been steam-distilled, contains between 50% and 85% carvacrol, and is 100% pure, raw, unprocessed.